We’d love your help. Let us know what’s wrong with this preview of Shorter of Breath by Kenneth Eckert. To ask other readers questions about Shorter of Breath, please sign up. I suggest you put on your flared jeans (preferably ones with a Canada flag in the flare), turn on some Pink Floyd for background music, fix yourself a bowl of Old Dutch ketchup chips and prepare to wash it down with a glass of Freshi (Kool-Aid is too pricey). 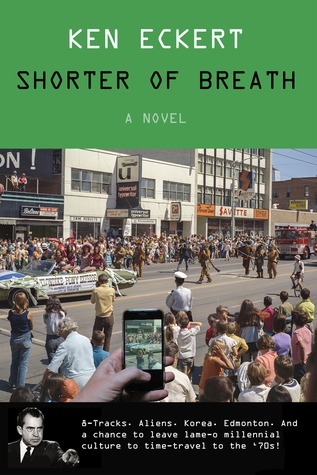 Get comfortable on the chesterfield and put your feet up on the hassock and prepare to read Ken Eckert's Shorter of Breath. It is a good, fun read that will not teach you anything or enrich your life one iota.